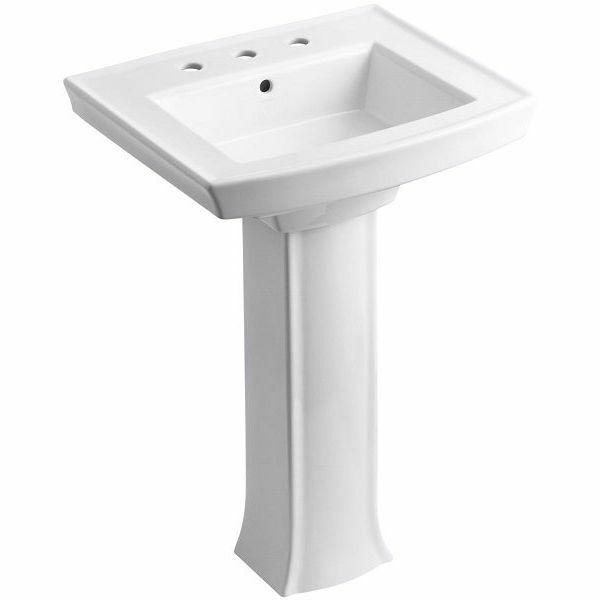 The Barclay Washington 550 Pedestal Sink is a simple to install, stately pedestal sink that will look gorgeous in a guest bathroom, a master bath or a powder room. Made of white vitreous china, the sink has a raised lip around its front and sides and can be purchased with a single hole or with four-inch centers. The KOHLER Archer Pedestal Bathroom Sink with 8-Inch Centers has the elegant look of a pedestal sink but with a squared-off top that gives the fixture contemporary appeal. 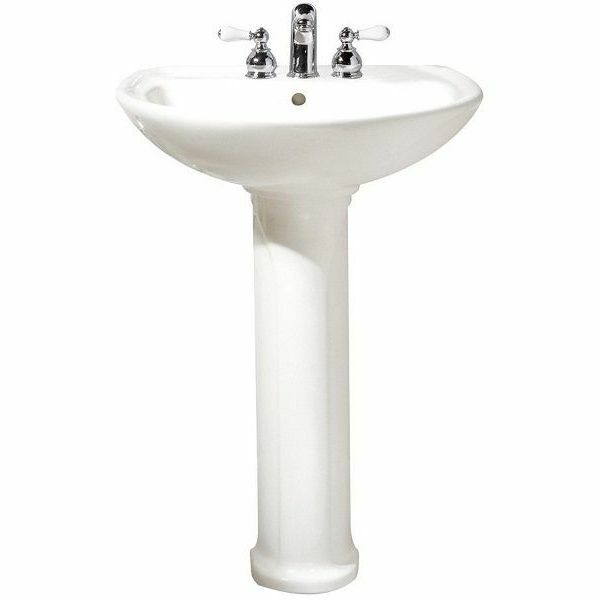 Flared at the bottom, the sink is made of white vitreous china and consists of separate lavatory and pedestal components. 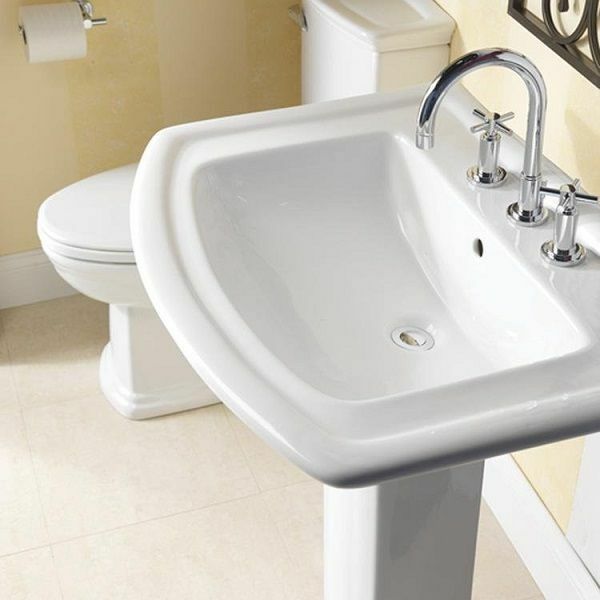 Love the look of a pedestal sink but want a little extra room for hand soap and other toiletries? 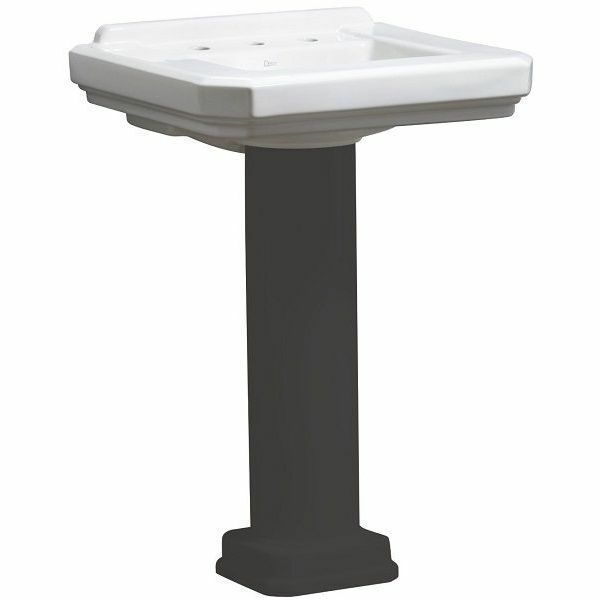 The American Standard Cadet Pedestal Top and Leg with 4-Inch Centerset Holes has an extra wide ledge that is sure to meet your needs. The sink has a classic look with a half moon bowl. 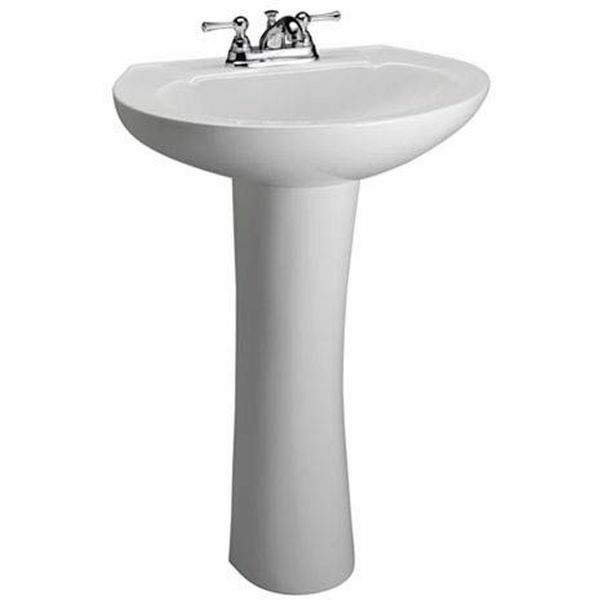 The Barclay Hampshire 450 Pedestal Lavatory in White is a modern masterpiece made of white vitreous china. While this piece will complement a number of other bathroom fixtures due to its simple white color and elegant, clean lines, the sink is made to coordinate with other pieces from the Barclay Hampshire collection. 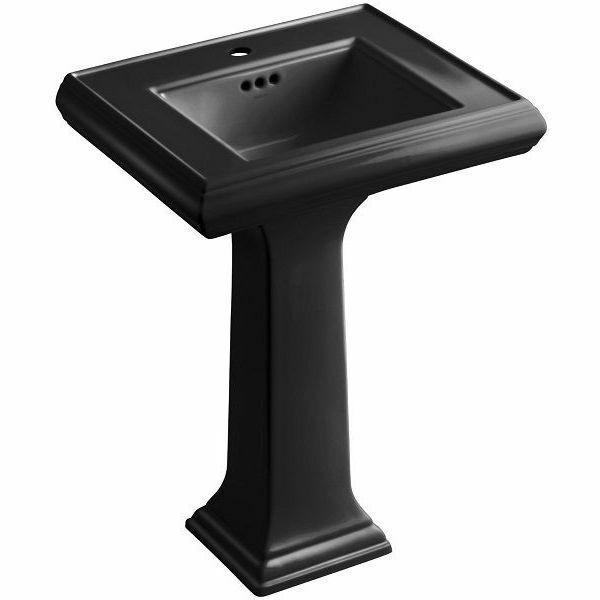 The KOHLER Memoirs Pedestal Bathroom Sink with Single-Hole Faucet makes a powerful statement in any bathroom floor plan due to its refined look and striking black hue. Both the ledge and the pedestal base are tapered. Crafted out of fireclay, the sink is ideal to mix and match with other pieces from the KOHLER Memoirs collection. Keep your wall free of splashes and your bathroom looking stylish with the Danze 24-Inch Circtangular China Pedestal Lavatory Basin. This white vitreous china sink has a tall backsplash to protect wall surfaces and features a modern rectangular bowl. All of the mounting hardware is included to ensure quick installation.